This was the fourth book I read for literature studies in fourth grade. This book is about a mouse named Despereaux who was born different than all the other mice. He had a small body but large ears. His brothers and sisters tried to teach him how to be a mouse, but Despereaux didn't want to. He really loved adventure. One day, while he was adventuring, he heard music. He followed the music until he came to Princess Pea's bedroom. He then met the princess and the king, and he talked to the princess. His brother saw him and told his dad. His dad called a council meeting. At the meeting, for breaking mouse rules and talking to a human, Despereaux was sent to the dungeon to be eaten by rats. And then his adventure began! I thought this was a cool story, because it wasn't about a human but about an animal, and that it was a mouse that falls in love with a princess. I thought this was a really adventurous book because it went from the castle to the dungeon, back and forth. 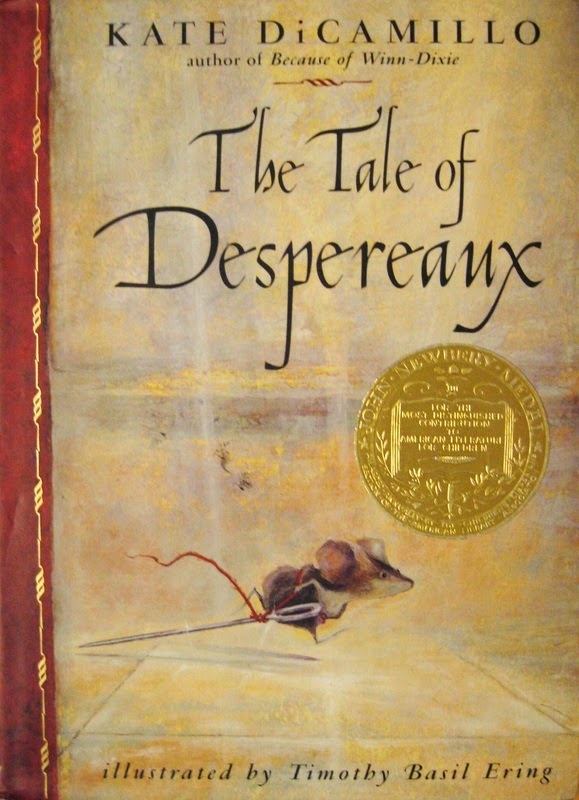 My favorite character in the book was probably Despereaux because he kept on trying until he succeeded and that he was born different than all the others.